Moto E4 Plus with 5000mAh battery to cost £159.95 ($206 USD) in the U.K.? The Motorola Moto E4 Plus' claim to fame is the 5000mAh battery that powers the phone. The cell will have to power a 5.5-inch display, with a 1080 x 1920 resolution screen. Driving the handset will be the MediaTek MT6737M chipset carrying a quad-core 1.3GHz CPU, and the Mali-T720 MP2 GPU. 3GB of RAM is believed to be inside along with 32GB of expandable storage. A 13MP camera adorns the back of the phone, while a 5MP front-facing selfie shooter is also included. 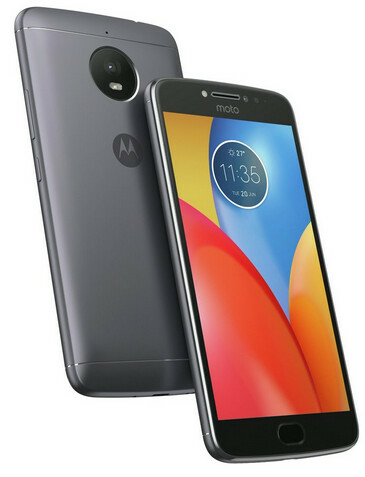 Motorola is expected to unveil the phone along with the Moto E4 on July 17th. Today, a source on Twitter posted that the unlocked Moto E4 Plus will be priced in the U.K. at £159.95. For comparison purposes only, we want to point out that this is the equivalent of $206 U.S. Dollars. This week, we have seen the unveiling of the Moto Z2 Play, which replaces both the Moto Z and Moto Z Play. And earlier today the budget priced Moto C was launched in India, where it is on sale for a price equivalent to $94 USD. Will the Moto E4 Plus and its massive battery be able to out last the Moto Z Play or the BlackBerry KEYone? That is something to think about as we await the handset's introduction. I was thinking the same thing as well. Lenovo screwed up the Moto line the minute thy took over. Before Moto had the Droid line and the E, G/Plus and X. Now they have the Z/Play, X, M, G/Plus/Play/S-Plus, E/Plus, C...soon they'll cover the entire alphabet.